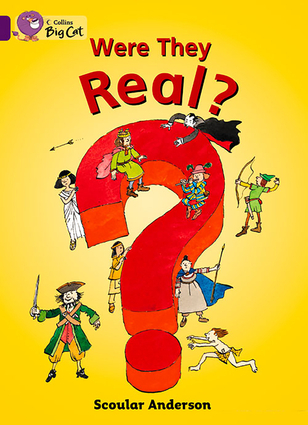 An information book about the celebrated historical and fictional characters Cleopatra, Boudica, King Arthur, Robin Hood, the Pied Piper, Pocahontas, Blackbeard, Dracula and Tarzan. The book investigates which of them really existed, and which are based on legend.• Purple/ Band 8 books offer developing readers literary language, with some challenging vocabulary.• Text type - An information book.• An index and a glossary are included on pages 22 and 23 to aid comprehension.• Curriculum links - History: Why do we remember great people? How do we know about great events?